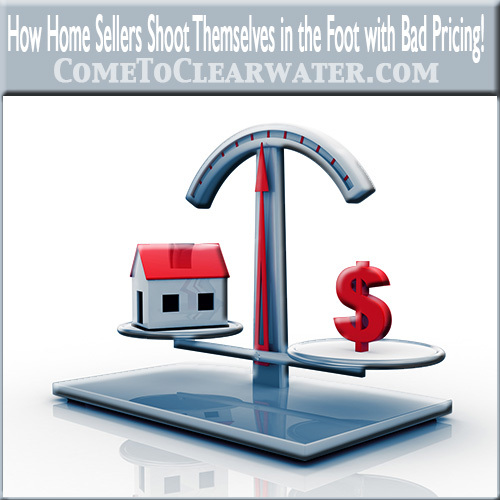 Pool homes in the Clearwater and St Pete area are plentiful and worth your time and interest. Having safety rules in place when you have a pool home is essential. 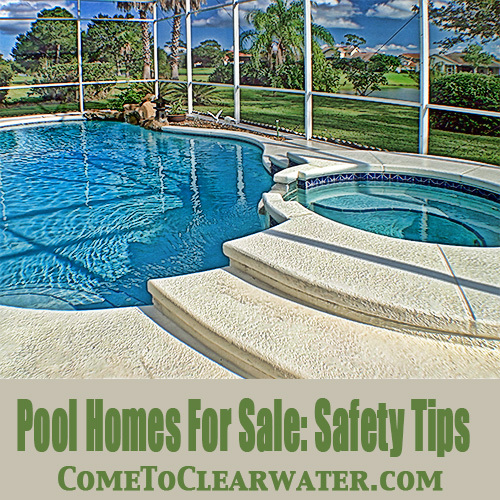 If you are looking at homes in Clearwater or St. Pete, many of them will have pools. During Florida summers they can almost be considered a necessity. But if you have kids, or neighbors with kids, there should be some safety rules that you should follow. Having a pool home in Clearwater or St. Pete can be great fun, but it is also a big responsibility. Drowning is the second leading cause of accidental death in young children, and if you have kids, or there are kids in your neighborhood, your pool home is going to draw their attention. It only takes a few minutes for a child to drown. So think about doing the following. Fence it. Better yet, extend the fence around your lanai too. Keep the fence or lanai locked. The fence should be at least four feet tall, and designed so that hand and footholds are few and far between so climbers can’t easily climb and keep things like chairs that could be used like step stools away from the fence. Also consider an audible gate alarm on the fence. If you have kids, keep access to the pool from inside the house locked as well. Your pool home can be lots of fun but keeping the safety of kids in mind will make your life even better. Also consider getting an in-the-water pool alarm too. When activated it will alert you if anyone jumps or falls in the pool. Also if you have a pool cover, consider a locking one, and never allow anyone to swim with the pool partially covered. If you have removable ladders, remove them when the pool isn’t in use. No kids? Well, adults, pools and alcohol are a bad combination! When you have a Clearwater St. Pete pool home make sure your child learns how to swim. Learning to swim is a good start, but don’t assume they are safe to swim alone. Institute a rule that no one goes in the pool alone. Use a buddy system and always supervise their swim time. Do not leave the pool area to do other things, like answer the phone or do other chores. When supervising, supervise. Learn CPR and be sure that anyone supervising knows it as well. Babysitters must be certified, or don’t allow swimming when you aren’t home. Keep rescue equipment by the pool. Keep water depth in mind and enforce strict rules about diving. Never allow in above-ground pools, and for in-ground pools, allow diving only from the diving board. Have fun and be safe! A pool home in the Clearwater St. Pete area can be a great asset and lots of good times. St. Petersburg, Florida is on the west coast of Florida in Pinellas County, Florida. 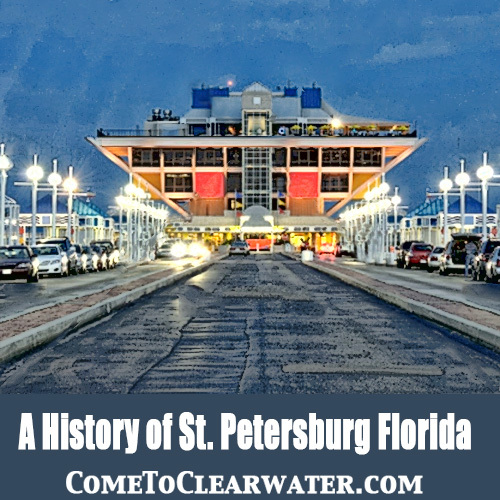 It is often referred to by locals as St. Pete, and formally shortened its name in 1994. It sits on the peninsula between Tampa Bay and the Gulf of Mexico. St. Pete was founded by John C. Williams, who migrated there from Detroit, Michigan, and by Peter Demens. Williams purchased the land in 1876, and Demens brought the terminus of a railroad there in 1888. St. Petersburg was incorporated on February 29, 1892. The city was named after Saint Petersburg, Russia, which was where Peter Demens was born and raised. According to a local legend, Demens won the right to name the town in a coin flip with Williams. Williams then, as the loser, got to name the first hotel. He named if after his birthplace. The Detroit Hotel still exists downtown, but has been turned into a condominium. The oldest running hotels are the historic Pier Hotel, built in 1921, formally Hotel Cordova and The Heritage Hotel, built in 1926. Philadelphia publisher F. A. Davis turned on St. Petersburg’s first electrical service in 1897 and its first trolley service in 1904. The city’s first major industry, wholesale fish sales, was established in 1899 when Henry W. Hibbs, a native of Newport, North Carolina, established his wholesale fish business at the end of the railroad pier. This pier extended out into the shipping channel. Between 1906 and 1908 the shipping channel was dredged and the deeper channel opened St. Pete up to increased shipping. In 1914, airplane service across Tampa Bay from St. Petersburg to Tampa started. This is generally considered the first commercial airline. The company was the St. Petersburg–Tampa Airboat Line. Their pilot was Tony Jannus, and an annual award, The Tony Jannus Award, is presented annually for outstanding achievement in the airline industry. As with its surrounding sister cities, St. Pete has a great history to go with its great beaches! If you are looking for great beach living, look no further than Boca Shores in St. Pete Beach, Florida. This beautiful community is perfect for your need for a little bit of heaven on earth. Boca Shores is a gated community found in St. Pete Beach. It is on the intercoastal waterway. The grounds are an amazingly lush, calming and serene place to live. The community has a sundeck and heated pool on the intercoastal waterway where you can relax and swim to the sounds of living on the water. All around you will find award winning landscaping. The City of St. Pete Beach gave an award to the Boca Shores community for its lush and amazing landscaping. It offers privacy and a little bit of nature, right outside your door. All without the hassle of having to maintain it yourself. If you enjoy an active lifestyle and like to bike, there is community bike storage. The white sand beaches of St. Pete Beach are just a bike ride away. 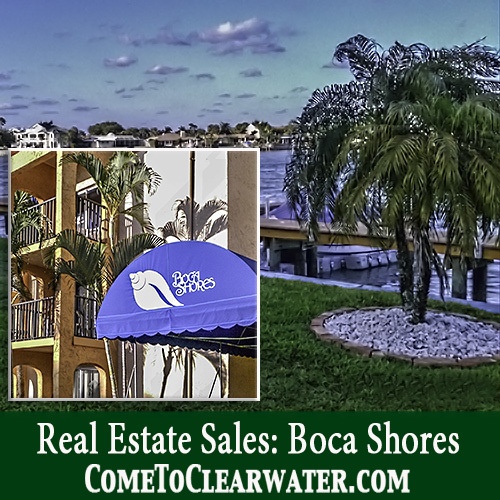 Want to see what life in Boca Shores is like in a unit? Well, you’re in luck. There is a unit for sale that includes 2 bedrooms and 1 bath and amazing amenities. It is listed for $150,000 and is a ground floor unit. The unit is bright and airy and has a neutral palette. The kitchen was recently redone and includes gorgeous granite counters, beautiful cabinets and stainless steel appliances. There is plenty of storage. The bathroom was also recently redone. It includes a tub with a glassed in shower, modern lighting and beautiful granite countertops. The bedrooms are a nice size. The second bedroom includes two twin beds, perfect for those out of town guests. The master bedroom is nice size as well and has space for a queen size bed. It also has a sliding glass door to the courtyard, through your own fenced and private outdoor space. If you are interested in buying or selling real estate in the St. Petersburg-Clearwater, Florida area, please Call 727-216-9247, or email info@DeborahWard.com for information. Just Listed! One bedroom condo in St. Pete Beach Waterfront Complex! – UNDER CONTRACT! 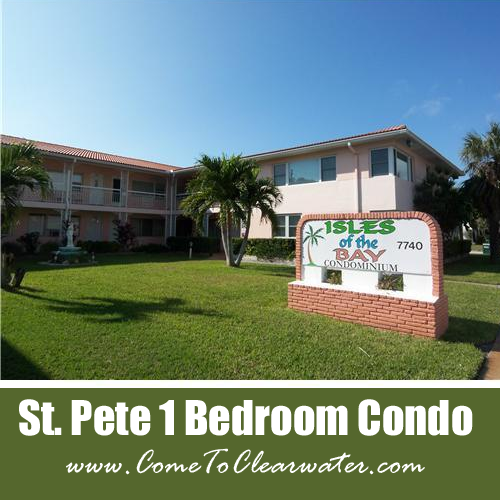 St. Pete beach condo for sale, one bedroom, waterfront complex. Short Sale. Active with contract..
Great St. Pete Beach location, just a few blocks from historic Corey Avenue! Perfect investment or second home opportunity! End unit with lots of potential; including large bedroom with walk-in closet and bright living room with kitchenette. This is a waterfront community with swimming pool overlooking the intercoastal. 30 day minimum rental period. Sorry, no pets. Don’t delay; as this condo will sell fast! Maintenance includes the building exterior, cable, community pool, escrow reserves, flood insurance, pest control, roof, water and sewer, plus trash removal. This waterfront St. Petersburg, FL home for sale offers a wraparound balcony with breathtaking wide-open water views. Recently added elevator, open floor plan and oversized lot! The elevated living area is designed for entertaining with sliders and kitchen pass-through so the stunning waterfront views can be enjoyed from many areas of the house! There is a two car garage downstairs, with living quarters above. Intercoastal waterfront views make this an amazing find! The architectural details, split plan, and spacious rooms along with a great price make this a rare find!